Check out these Bally Centaur Pinball Machines for sale. You will also find parts and accessories for current owners including the ramps, Decals, Manuals, Translites, Insert Decals, and Drop Targets. It is known as one of the best playing of the early Bally solid state games, and features a five-ball multiball and a ruleset designed to challenge even the best players. 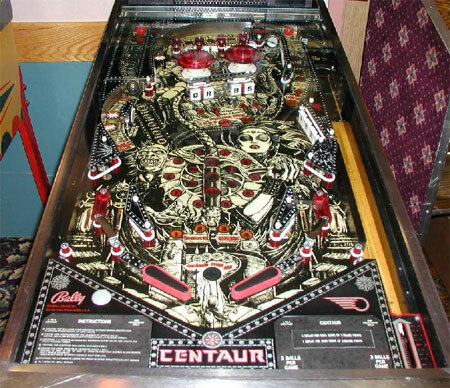 Centaur is great fun to play, its traditional open layout offers tons of skill shots as you rack up bonus and play toward multiball.